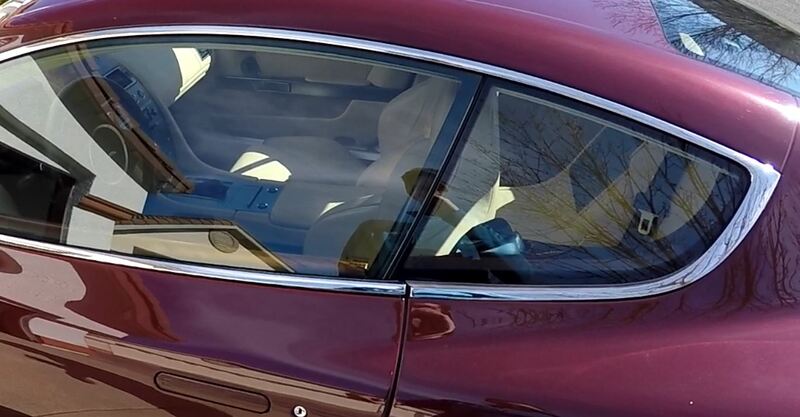 Your DB9 has a cool feature that when you open either door the window glass lowers slightly (drops) to allow it to clear the opening. When you close the door the opposite happens and the window rises the final amount to seal up tight. If the windows loose power the calibration to know where top and bottom are forgotten, and this feature stops working until you reset them. Fortunately the procedure is simple and takes just a minute. The door is very difficult to pull open – you may not realize it the first time or two as you have to tug the glass out of the window seal and frame opening. When you close the door, the glass ‘bangs’ against the chrome trim frame of the door opening, and may even settle on the outside of the frame rather than the rubber door seal. You hear a lot of wind noise and have to lower the glass some then raise it all the way using the power window adjustment to get the window to seal properly each time you get in and out of the car. Once you start to suspect this is the issue, you’ll easily see that when you open or close the door the auto drop feature isn’t working. Anytime your DB9 looses power to the windows this issue will occur. The DB9 has several control modules that loose their settings whenever power is lost even momentarily, namely the Window Glass Auto Drop, the Seat Position and potentially even the Engine Misfire Calibration. Aston Martin released Service Bulletin SB153 “Re-programming Modules after Battery Disconnect” in December 2004 as the issues are so common. Check out my other post and video on Seat Module Calibration if you are having that problem too. For this feature to work, the door control module needs to know the precise position of the windows in its up/down travel path. If it isn’t sure that the window is in the all the way up position, it won’t do the window drop. Using the same anaology from the Seat Module Calibration, the window motors are kind of dumb (just move one way or the other) and it’s the modules job to keep track of the position using a position encoder. Think of it as “Once I know I am at one end of the hall, I know it takes 27 steps to get to the other end”. And in this case, the window drop feature only works if it knows it is at the end of the hall, and then it takes one step back as the door opens. The problem is that they can loose their memory of where “the end of the hall” is. ANY interruption in electricity to the door module will cause it to forget. Unlike the memory storage in your cell phone, tablet or PC – if the memory in the door module loses power it’s instantly blank again. Even a dip in the voltage (low battery) might cause it to forget. Stupid design that would be rectified in later model years. You disconnect the electronics within a door as part of some service. Early DB9’s may have experienced this issue simply because of cold weather. Aston Martin released Service Bulletin SB209 in August 2006 acknowledging the issue and they released a firmware update for the door control modules to resolve it (that can only be installed by your Dealer). You can read SB209 here. This is one of the easiest procedures to carry out on your own. 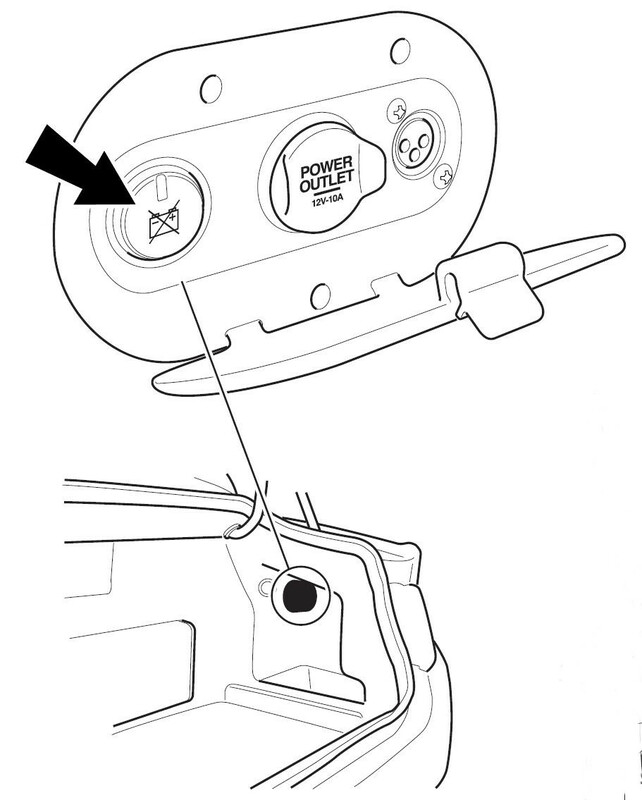 The issue is very common and they even include a section in your Offical glovebox Owners Manual on how to do this (click here to see it). I also checked the Official Aston Martin Workshop Manual, and the procedure is exactly the same (click here to see it). Sit in the drivers seat with both doors closed and both windows fully closed. Turn the key to the On position so the power windows operate. Press and hold the Window Down button until the window reaches the bottom, and then continue to hold the button for five (5) more seconds. A few seconds in you should hear a faint click. Press and hold the Window Up button until the window reaches the top, and then continue to hold the button for five (5) more seconds. A few seconds in you should hear a faint click. Open the door and check if the drop feature now works. Perform the same procedure on the other window as needed. Check out this short video on the process. I have found with my car that as the seasons change (and the average daily temperatures increase or decrease), I occasionally get some slight wind noise from the windows not sealing tight at the top of travel. My theory is that the rubber seal that the window glass seats against is softer or firmer as the temperatures shift notably. When I notice the noise, I do a quick Window calibration (forcing the window to smash into the rubber seal to the best of its abilities in this season’s temperature) and it tends to eliminate the wind noise. I guess it learns it can go just a wee bit further up improving the seal. As a new DB9 owner I find your site very helpful and well presented. Keep the good work. I found your vídeo to be helpful, but my situation is a little different. I can’t even close my door to follow your vídeo. How do I recalibtate the windows with the door open? Hi April. I would suggest getting in and turning the car on (leave door open at this point). then lower the window, close the door, and then calibrate the windows. Good luck! My driver’s side window dropdown just stopped working the other day. The first place I went to was this website and was thrilled to see you had a procedure for recallibrating the system. I tried it and it worked perfectly the first time! As always this site continues to be a wealth of information. Thanks again for all your posts! I’ve had my 2005 db9 All of a week…….and I’m loving it……your site and videos have been excellent…….and today’s little window fix has helped immensely!!! Glad you are enjoying your new ride and finding these tips helpful. Your car is likely an exact match to mine, so almost all the articles will be just right. What car number is yours? Hi Steve, great YouTube channel for my recent purchase DB9. Do you have an avenue for us to ask for advice about stuff please. I’ve already used your videos to do a full service on the car but there’s a few issues I’ve cone across that aren’t explain too well in the manual or anywhere else that I’d like a little heads up on please if you’ve a moment to help. Hi Paul. I don’t have a vetted contact method, but this comment section works well enough. What else is up on your DB9? Thanks for the reply Steve. Problem is that when I press park I’m getting an intermittent success rate of it actually going into park and when it doesn’t go in I get a gearbox fault park lock fail message. Now from reading forums I see this is either a switch problem or the cable/wire routing problem to the gearbox being too tight and out of sync. So my question are please have you heard of similar? And have you ever seen where this park lock cable is as I can’t find it under the car? The problem screams to me it’s electrical and I’m about to change the battery anyway as I can see from service docs it’s 7 years old and we’re heading into winter here in the uk (although the DB is merely a luxury for me and lives in a big garage under a nice cover when not being used) anyway let me know if you’ve any ideas. Hope the track day was fun, keep up the good work. Hi Paul. I haven’t had the problem myself. I think I read about there being a wiring ground issue with the button switches in the ski slope dash that could be the culprit. I’d change the battery if you plan to do that, and then if it persists I think I’d get at the switches (taking off the ski slope) and check those electrical connections (clean, tighten, etc.) Sorry this isn’t much help. Thanks Steve, that was my thought process too and the direction I was going down as the car didn’t do it when I got it and I’ve been doing work on the car which sometimes meant doors open etc and battery run down. So I doubt it’s mechanical. The joys of Aston ownership eh, my last one was a DB7 20 years ago and that was no bother but DB9’s seem to have their problems and too many seem to source back to electrics. It’s number 99 and I’ve every bill ever spent on the car so it has been well looked after him it’s only 60k miles but I guess she’s getting old…aren’t we all. Whilst doing the filters I noticed a cracked coil spring so that’s another weekend job for me. Thankfully, like you, I can do these jobs myself. Thanks, I’ll let you know when I resolve in case anyone ever asks you similar in future.